The Ultimate Warrior has passed away aged 54. TMZ reported that he collapsed outside a hotel while walking to his car with his wife Dana in Arizona. News of his death comes as a big shock as he had a busy weekend of engagements with the WWE including an appearance at Wrestlemania 30 on Sunday. James Hellwig, who later legally changed his name to The Ultimate Warrior, was one of the biggest wrestling stars of the 80's and 90's. He famously donned colourful warpaint every time he took to the ring. 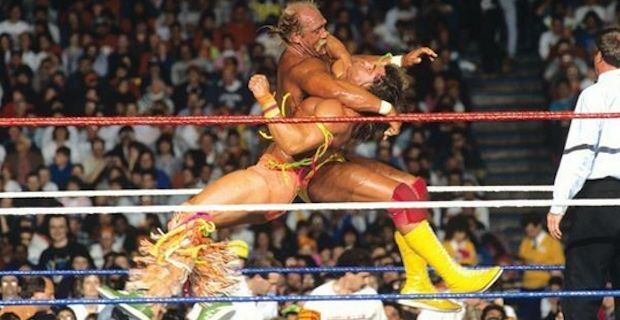 Hulk Hogan, who battled with Hellwig throughout his career, paid his respects on Twitter saying "RIP WARRIOR. only love. HH". Only last Saturday, on April 5th, Hellwig became the latest inductee to the WWE Hall of Fame. In his acceptance speech, he spoke about what it takes to reach the top in what now seems like a prophetic manner saying "No WWE talent becomes a legend on their own. Every man’s heart one day beats its final beat. His lungs breathe their final breath. I am the Ultimate Warrior, you are the Ultimate Warrior fans and the spirit of the Ultimate Warrior will run forever.". WWE stars from this generation were also quick to pay their respects online with Sheamus tweeting "Too soon. Warpaint was was barely dry... RIP Ultimate Warrior. An icon." while The Rock tweeted "Loss always has a way of reminding us to live and love as greatly as we can. My prayers and strength to his family. RIP Ultimate Warrior". WWE Vice President Triple H paid tribute by tweeting "Saddened to announce the passing of the Ultimate Warrior. Icon and friend. My sympathy to his wife Dana and his daughters". The WWE universe is reeling from this death so soon after the most successful Wrestlemania event ever held at the Superdome in New Orleans. That event included a stunning first ever defeat for The Undertaker at Wrestlemania at the hands of Brock Lesnar.